While there are many different golf apps available, there are relatively few that concern themselves with one of the most important aspects of the game; the mental side of golf. 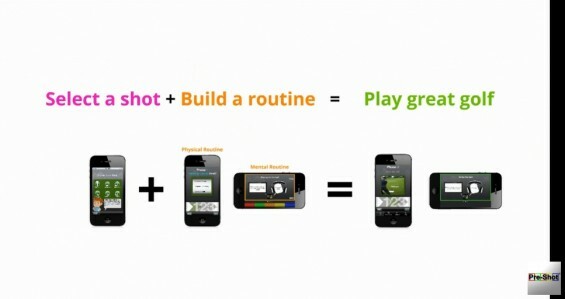 The Pre Shot Club Golfer app (and it’s successor the Golf Pre Shot Pro app) are two golf apps for iPhone and iPad that break that trend. Priced at £4.99 each, we’ll examine the first of these apps in a little more detail and examine if they are worth the investment and for which type of player they are most suited, high, mid or low handicapper. When we conduct a golf app review for iPhone, iPod Touch, iPad or Android, we do try our best to cover as many devices as possible and occasionally something surprising happens that baffles us. 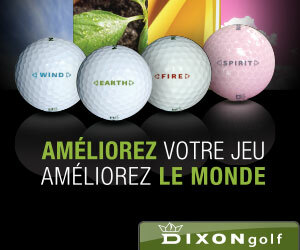 This happened with Free Golf GPS & Scorecard, a popular app from developers Swing by Swing. There are many different types of golf app on the market and last week we reviewed a very serious app from Nike Golf aimed at helping you develop your game and golfing ability. This week however, we are turning our attention to fun and while Tiger Woods and EA Sports have the simulation game at the forefront of golf fanatics minds, there is room for a more relaxed, fun type version of the game. 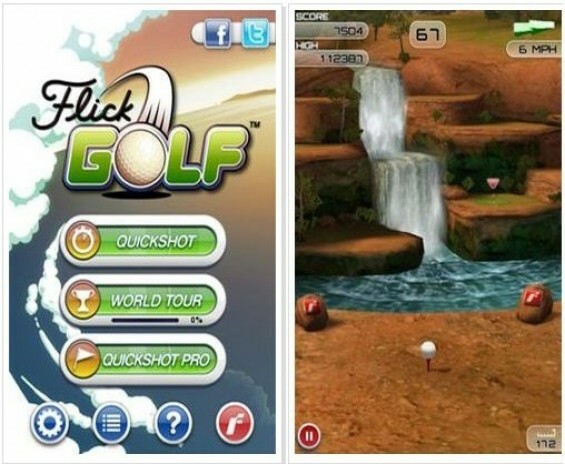 Welcome to the world of golf at your fingertips with Flick Golf! Nike have been in the headlines for many reasons in the past few months, the signing of Rory McIlroy to its stable of stars (and his subsequent lack of form which may, or may not, be down to him using a brand new set of Nike clubs) and the return to form of Tiger Woods have seen Nike Golf frequently on the pages of newspapers, blogs and golf magazines. With the next Tiger Woods PGA Tour app expected to be released sometime in the middle of Spring, usually around the time of the Masters, perhaps now is a good time to take a look at the current version of the game. This is a game that I have played a great deal on my PS3 and have got rather a dab hand at. Suffice to say that if I could shoot scores in real life like I do around Augusta in the game, then I’d fancy my chances of a green jacket this April. 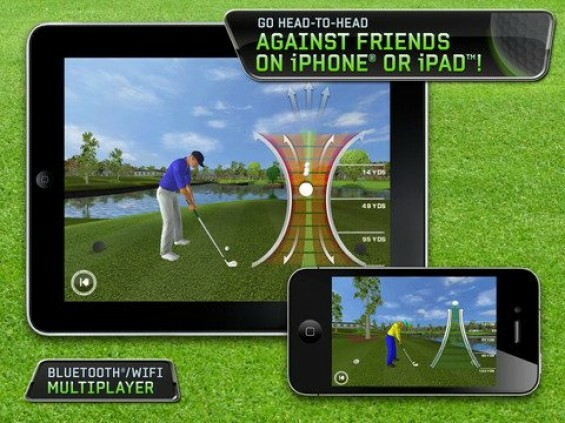 As such, I was interested to compare the Android, iPhone and iPad versions of Tiger Woods PGA Tour and see if they had something different to offer.